How Was Sujeong in Middle School? Since many posts about Lovelyz's Ryu Sujeong pop up on Pann, I'll tell my story. This unnie, she was in our middle school. She was memorable because she was pretty and tall. We were in the same extracurricular activity. She seemed quiet and she didn't talk much. I only saw her once a week..But then our teachers also said the same things as well.. she didn't really stand out at school, even though she was quiet at school, she was pretty, but I didn't think she was pretty enough to debut as a celebrity.. Her distinct features that I remember were her pupils that looked a bit thick because she wore contact lenses, her full aligned bangs and her hair in a bun. She wasn't really a nerd but she wasn't really outgoing either. She was just a normal student. There's also a graduation photo. Actually, I heard from a friend that she became a celebrity ? ?so I watched her video and her character was totally a beagle. It was daebak and while laughing, I was surprised at how pretty she was..ㅋㅋㅋㅋㅋㅋ I hope Lovelyz will do well. I saw her photo when she went to SOPA and I was even more surprisedㅋㅋㅋㅋㅋㅋ It's not like the feeling of getting prettier after a surgery, what is it, it's more like the feeling of leveling up..? Anyway, it was exciting because there's a celebrity who went to our school..
[+12 | -2] At least the graduation photos came out looking like herself. 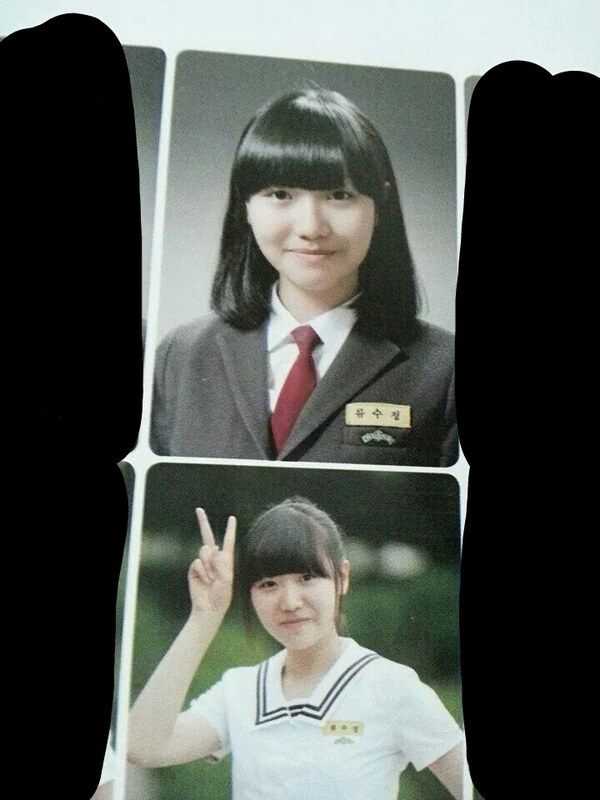 My graduation photos........ㅋ.........Is there an incineration plant anywhere? ?